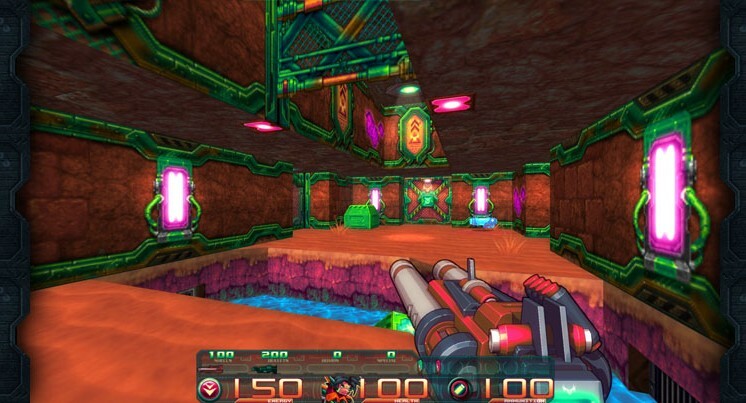 Retro Blazer is a new first person shooter for Linux featuring fast paced gameplay. The game is based on Darkplaces engine and brings back Quake like old school goodness with a difference. Rich cel-shaded graphics, sound effects and colorful environment give the game an altogether new feel and make it more light hearted. The game is heavily under development and a new Alpha build for Linux is available. Get it from here.